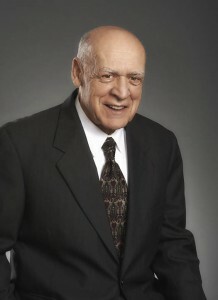 Mr. Cimino founded C. M. Cimino Inc. in 1966 and currently serves as a Senior Consultant for the firm. An industry expert with over a half century of commercial construction experience Cimino advises on day to day operations and commercial construction projects. Mr. Cimino also serves as the President of C. M. Cimino Realty Inc., which owns and operates elderly housing within Southern Maine. Mr. Cimino started his career for the Cimino Construction Company. He served as Chief Estimator and Project Manager from 1960 -1966. During his tenure Cimino was responsible for construction of the Cumberland County Jail, Gorham’s Village Elementary School, Brunswick’s Coffin Elementary school, Biddeford’s John F Kennedy Elementary School and the Bramhall Fire Station in Portland. In 1966 Cimino established C. M. Cimino Inc. and served as the President until 2006. During his tenure Cimino led the construction of projects ranging from elderly housing, high school & college construction, municipal buildings, medical facilities and office structures. Specific highlighted projects include the renovation and additions to Deering, Portland and Biddeford High Schools as well as elderly high rises which dot the Southern Maine region; Broadway East, The Park Danforth, Ledgewood Apartments and Sunset Towers. Cimino has vast experience with HUD financed projects and was involved with over 1000 units of construction of multifamily housing projects during his extensive career. Mr. Cimino is a former member of the Associated General Contractors of Maine, American Society of Civil Engineers and the Maine State Chapter of the Construction Specification Institute. 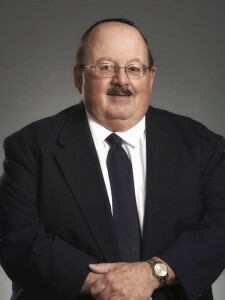 Cimino served on the Board of Advisors for Cheverus High School and is a former member of the Board of Directors for the Osteopathic Hospital of Maine. Mr. Cimino is a graduate of the University of Maine, Orono with a B.S. Degree in Civil Engineering. He resides in Cumberland Foreside, Maine with his wife of 55 years. Anthony Cimino serves as the President of C. M. Cimino Inc. Cimino is responsible for maintaining a personal involvement with each construction project from start to finish. He also directs all in-house activities, providing leadership and ensuring cooperation and collaboration between estimating/budgeting, scheduling, project management and supervision. Mr. Cimino joined C. M. Cimino Inc. in 1985 as an estimator and project manager. During this period Cimino was responsible for the construction of several high profile commercial projects within Southern Maine; The Park Danforth, Wells Junior High School, the Chancery Building and the Cumberland County Courthouse Parking Garage. In 1991 Cimino was appointed Vice President of Operations. Mr. Cimino increased his sphere of influence to include more of the day-to-day operations and project management. Specific construction highlights include the addition and renovation to Portland High School, the Scarborough Town Hall, Atrium at Cedars, John Marvin Tower, Cross Insurance Building and the Cedars Assisted Living Facility. 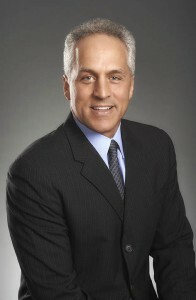 In 2006 Cimino became President of C. M. Cimino and assumed full time responsibility in leading C. M. Cimino Inc.
Mr. Cimino is a graduate of the University of Maine Orono with B.S. in Civil Engineering. He is a member of the Associated General Contractors of Maine and the Maine Safety Council. Mr. Cimino resides in Cumberland Foreside, Maine with his wife and 4 children. 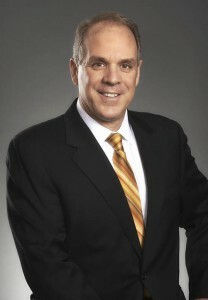 Mr. Cimino serves as Executive Vice President of Business Development for C.M. Cimino Inc. Cimino is also responsible for the oversight of the portfolio of Section 8 elderly housing units owned and operated by C.M. Cimino Realty Inc. In 2012 Mr. Cimino rejoined the Cimino real estate and construction companies after two decades within the higher education sector. Cimino has over 25 years of management and board expertise. Mr. Cimino serves on the board of directors for the Imagine America Foundation, the Center for Grieving Children, Jobs for Maine Graduates, AGC Maine and the Boys & Girls Clubs of Southern Maine. He is a member of the Maine Affordable Housing Coalition and the Maine Real Estate Developers Association. Cimino received his B.S. in economics from Bentley University, a Master’s in Public Administration from Suffolk University Sawyer School of Management and his MBA from Bentley University McCallum Graduate School. Cimino resides in Falmouth, Maine, with his wife and three children. Mr. Lugiano joined C. M. Cimino Inc. in 1997. Lugiano’s duties include day-to-day office operations including but not limited to, payroll, accounts payables, accounts receivables and record keeping. Mr. Lugiano also manages Ledgewood Apartments, a C. M. Cimino Realty Inc. property. Lugiano’s responsibilities include daily oversight of the 60 unit elderly housing facility located in Biddeford, Maine. Mr. Lugiano is a graduate of The Salvation Army School for Officers Training with a BS in Social Services. Lugiano is active in various youth organizations in the City of Biddeford, ME where he resides with his son Jeremy. Mr. Lugiano has 7 children.